By all intents, assumptions and human estimation, age 57 is said to be very advanced. An individual at 57 would therefore, be said to be approaching the Senior Citizens Class with full responsibilities amidst further expectations to savour the joy of toiling at a very advanced age when frailties set in. Failure for a 57 year old man, therefore, could by society standards, be seen to be a technical and permanent failure in life except a miracle happens. Nigerians are religious no doubt. That could make many among us to say: 'it is not yet uhuru for the country'. I share the same sentiment albeit with a defining view and perception. After all, the Bible says: 'the prayers of the righteous, avail much'. Thus, at age 57, whatever might be the shortcomings of the country could be said to still be remediable not minding her advanced age. The index of measuring the country's achievements in this intervention as Nigeria celebrates 57 years of an uninterrupted independence, is education. Education by all known theories and precepts, is the only yardstick through which other indices of advancement of a country rest. Failure in this sector, is therefore, failure in other known sectors like, economy, health, technology and telecommunications, politics, the list is inexhaustible. No wonder, our beloved country at 57 is perpetually 'lamed' and permanently 'dwarfed' in development. If properly harnessed, human and natural resources that are available in Nigeria could be utilised to put her education in a good stead; and same use to bring fortune to the country. Ask what brings fortune to the United Kingdom. It is her education industry. Unfortunately, these resources have not been effectively used to meet the increasing needs of the country in terms of human capital development and others through qualitative and accessible education for all. For Nigeria and with specific reference to the education industry, it is a story dotted in failure and permanently on the altar of policy somersault. For emphasis, the sector is the most neglected in the country. Forget about the cacophony of noise from the North to the South, West to the East; and across geopolitical zones in terms of education governance, it is all about heaps of lies and mortgage of the future of this country. Show me a country with a robust and well-funded education industry, I will point to you a country like Finland, South Africa, Ghana; just to mention three of the numerous countries that have become envy of others in all-round and complete development, and education haven to thousands of Nigerian youths. Our loss in terms of capital flights to education tourism to Europe, America, Asia and countries like South Africa and Ghana in Africa are better imagined than stating the obvious of our commonwealth of failure in education. Putting the nation's achievements in education on a scale of ten, and comparing her with her contemporaries who had independence about the same period, I will, conservatively grade her 3. Mainly, the education industry has three major sub sectors: early childhood/primary, secondary and tertiary. Thus, the totality of the quality of education sector remains abysmally low and unimpressive even to those on the lower wrung of Social Status Ladder. From the primary to secondary and tertiary sub sectors, it has been a tale of woes in academic performance to history of decadence in facilities and unmotivated personnel. Objective appraisal of the three sub sectors shows that all is not well. Unfortunately, the primary and secondary sub sectors have totally collapsed and no longer enjoying serious patronage on the part of the government at all levels. *Those who are left to salvage from the knowledge crumbs in public primary and secondary schools are wards of those I earlier referred to belong to the lower wrung of the Social Status Ladder*. The running of the two sub sectors are now in the hand of the private sector who, latch at the poor policy of the government to take control of primary and secondary education due to the neglect of the government. One must thank the private sector in that it is through it, whatever remains of the glory of education in primary and secondary sub sectors is envied amidst what many could afford. One may wonder then if the neglect of these sub sectors has any bearing with the constitutional provision which put education on the concurrent list? That provision did not make any intervention for private sector. It is the jackals in government that look elsewhere and allow the private sectors to hijack primary and secondary education in Nigeria. The same scenario is playing out in the tertiary sub sector of education industry with continuous deregulation of university education. At independence, Nigeria had only three universities and four polytechnics. The number of secondary schools were also known because of their qualities and fame. Then, schools were actively supervised by ministries of education. While one welcomes the increase in number of higher institutions (especially universities), what remains disturbing is the alarming rate of their proliferation without a corresponding funding of the existing ones; and thereby, raises questions of quality assurance. The increasing number of candidates every year (they are about 1.7 million this year) seeking admission to higher institutions especially universities, makes it imperative to have more universities but not on the altar of sacrificing quality. In other climes, government encourages open access to education by licensing public universities to run on a dual mode. Examples abound in South Africa, India, China, and UK. I must stress it that government cannot be the sole funders of education. However, my take is that, the regulatory bodies have been compromised and thereby throwing the education sector in the hands of business men and women whose primary motive is to make profit, forgetting that education is a social sector. Arguably, the fault is not theirs. Rather, governments at all levels should take the blame for compromising the future of the children of this country. 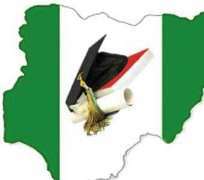 Successive administrations with perhaps exception of the ones in the first republic have committed grievous infraction against education in Nigeria. None of the primary and secondary schools established prior to the first republic which produced crop of many political leaders, captains of industries, celebrated academics, and a host of other notable Nigerians can be said to be a good reference now. Many of these schools except for those which have been handed over to missionaries, are caricatured, dilapidated and no longer fancied. For emphasis, the country has not fared well in the provision of qualitative education to its citizenry. The sector also continues to witness industrial unrest especially at the tertiary level. This is happening due to poor incentives for teaching and non teaching personnel. This is one of the reasons why we do not get their best. Often, the country witnesses poor academic performances as evident in secondary schools annual results by WAEC and NECO. At 57, Nigeria should make her education to be prosperous and triumph over all known limitations. This feat cannot be achieved overnight. It would require a serious commitment through adequate funding and appropriate policies. It may not be out of place if the country should declare a state of emergency in the sector. Governments at the national and state levels would have to accept the obvious and apologize for their failure. Anything short of these would mean that our governments are not remorseful and introspective. The expected triumph and prosperity of education is a serious business. If Nigeria wants to be at par with countries that celebrate prosperity in education, there must be a total overhauling of the sector. This can start now. The last line of the second stanza of the University of Ibadan Anthem reads: 'For a mind that knows is a mind that's free'. At 57, can we say Nigeria knows? As we reflect on this, I wish you all happy independence. Prof. Aremu is of the Institute for Peace and Strategic Studies and Director, Distance Learning Centre, University of Ibadan.